That is enough of a break. I am refreshed now, and if one closes down shop for an extended period in respect for the victims of every meteorological catastrophe that comes along in this new Anthropocene geological epoch, then the shop is likely never to be open again. What is the only viewpoint from which such things are viewed as "catastrophes" after all? Why, the anthropocentric point of view of course. I doubt that a bird, just before he is thrashed to death by the winds, regards what has befallen him as a "catastrophe." Neither does he regard himself as a "victim." He certainly does not regard it as a manifestation of God's justified wrath. Rather, he writes it all off as just another cost of doing business as a bird. If he gives it any thought at all. Which I concede is even more doubtful. Today I wish to pass along yet another anecdote relating to my hero, Lázaro Cárdenas, one of the youngest generals to fight in the Revolution of 1910 and President of Mexico from 1934 to 1940. The source of this anecdote is another great man, Cossío del Pomar. Cossío del Pomar, a Peruvian painter, writer, and historian, lived in San Miguel during the thirties and forties while in political exile from Peru. 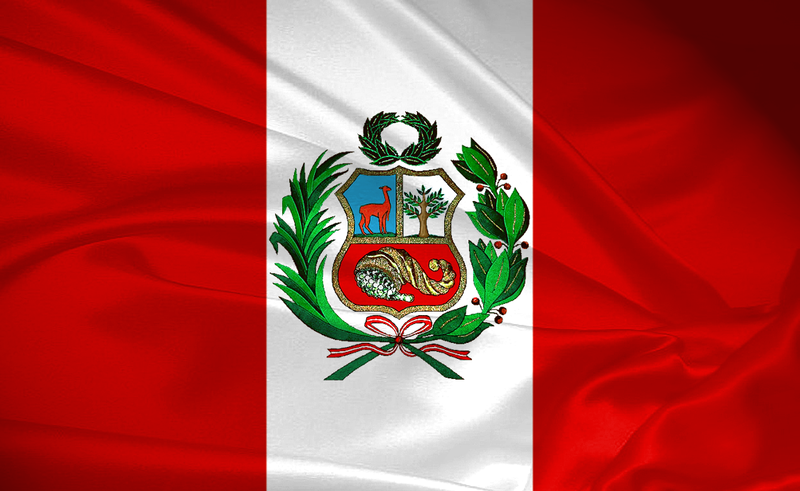 I know not why he was exiled from Peru, but he probably deserved his exile for getting mixed up in Latin American politics in the first place. He was probably lucky that he was not shot. How do I know that Cossío del Pomar was a great man? I have his memoir that he wrote about his days in San Miguel de Allende and have read it. It says in this book that he was a great man--not in so many words, but that is the conclusion to which one is ineluctably drawn by the man's own memoir. I certainly am in no position to argue with him. He is dead for one thing. His memoir was translated by a Texas lady named Maline Gilbert McCalla. Ms. McCalla is herself a great lady. I have that on the authority of a short biography of her published on the flap of the dust cover of this book, a biography that she herself obviously wrote. Who better to assess greatness, I ask you, than those closest to it? And how much closer can one get to greatness than by inhabiting it? There is no doubt that Cossío del Pomar played a critical role in the renaissance of the city of San Miguel de Allende. He founded the art school at Belles Artes here. He played a central part in many other worthy endeavors, also, not the least of which was the renovation of Plaza de Toros Oriente, my favorite place in town. The subject of this blog entry is Lázaro Cárdenas, however, not Cossío del Pomar or Maline Gilbert McCalla. This statue of Fray Juan de San Miguel sits uptown next to the Parroquia across the street from General Allende's house. It was commissioned, completed, and then placed in 1942 as part of the celebration of the 400th anniversary of the founding of the city by Fray Juan. Cossío del Pomar tells me that he pressed for its placement in the park, Parque Benito Juárez. I agree that would have been a better location for it. Cárdenas always showed special interest in anything that had to do with the Indians. 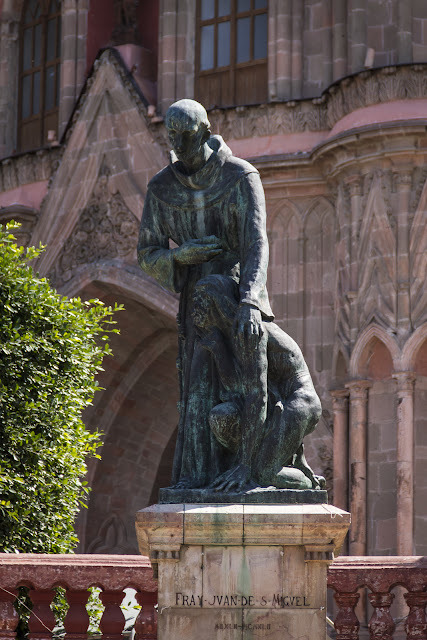 So in the sculptor's studio, after having admired various works of Asúnsolo's [sic], all demonstrating the sculptor's talent and his training in the classical tradition, the general stopped in front of the model of the Friar, who, with a compassionate expression on his face, was leaning towards an Indian kneeling in front of him. In judging an historical figure, I have come around to asking myself just one question. “Would I have ridden with him?” As for those historical figures who never rode a horse, I have no interest in them. You have to narrow down the number of prominent historical figures who are of potential interest to you in some arbitrary way. There are otherwise too many of them. Lázaro Cárdenas certainly did ride in his younger days, and he rode hard. In my younger days I would most certainly have ridden with him had circumstances given me the opportunity. You can read more about Lázaro Cárdenas's nationalization of the Mexican petroleum industry here. Or not. As you yourself choose of course. For the Standard Disclaimer please see the link About the Blog under "Irrelevant Background" on the right. If you forbid an old man the pleasure of indulging himself in big talk, then what other pleasure is left to him?